Have you ever brushed your teeth and noticed blood in the sink? If so, you are definitely not alone. 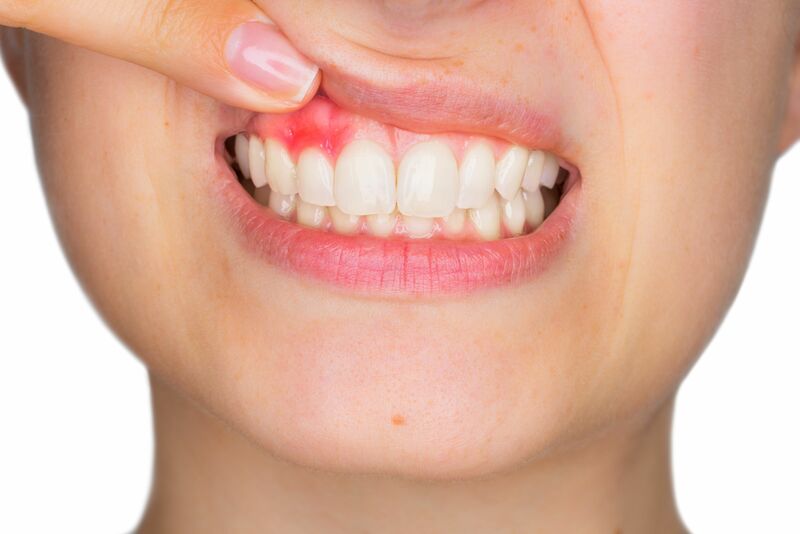 Estimates suggest that that as many as 47% of the United States population suffer from some degree of periodontitis, in which one of the earliest symptoms is bleeding gums. Periodontitis means "inflammation around the tooth," and refers to an infection in the gum. When left untreated, gum disease damages the soft tissue and jaw bone. There are different degrees of the condition, with periodontitis usually being used to describe the infection when it is at its most severe. However, in its early stages it is commonly referred to a gingivitis or gum disease. In its severest form, periodontitis can cause tooth loss, and infections to spread throughout the body, including to the primary organs. By seeking prompt treatment when you spot the first signs of gum disease, you can prevent your symptoms from worsening and protect your oral and overall health. If you notice blood in the sink when you brush your teeth, you should start by making an appointment with your dentist. A professional dentist is the best person to identify periodontal disease, and advise you of the best treatment to improve your condition. However, there are some steps that you can take at home. Here are our top tips for looking after your bleeding gums. Many people mistakenly believe that the firmer their toothbrush is, the more effective their brushing will be. In fact, abrasive brushing with a firm toothbrush can actually remove some of the enamel on the teeth and cause the gums to recede, causing existing periodontal disease to worsen. One of the most important things that you can do is to floss daily. Flossing removes bacteria that sneaks below the gum line, preventing it from turning into plaque and tartar. Use a clean stretch of floss for each area, and work the thread between the teeth in a horizontal motion. If you still aren’t sure of the best flossing technique, ask your dentist for advice and they will be happy to demonstrate to you. One of the biggest causes of gum disease is the accumulation of plaque at the gum line. A professional clean, known as a scale and polish, every 3-6 months can help to keep plaque at bay. routine. Dentists and hygienists have the specialist tools and equipment to be able to perform a clean that is much more thorough than you can do at home. Therefore, you should incorporate regular professional cleans into your oral care routine. If your periodontitis has progressed, your dentist may recommend you for root planing. This professional treatment involves a deep clean under the gums, to eradicate any bacteria that has accumulated around the roots of your teeth. This is the most intense type of treatment and requires the patient to have a local anesthetic to prevent any discomfort during the procedure. If you are experiencing bleeding gums, seek professional advice immediately. Doing so will give you the best chance of preserving your teeth and general health.